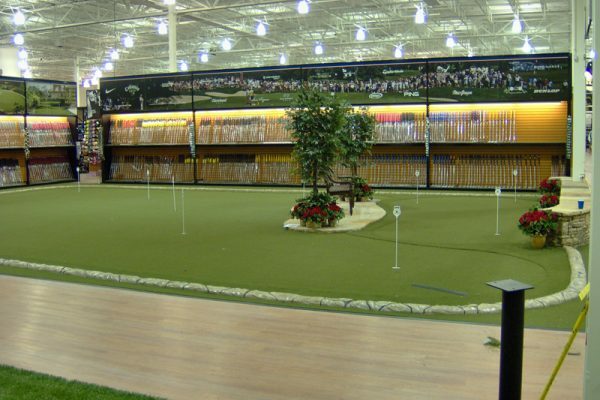 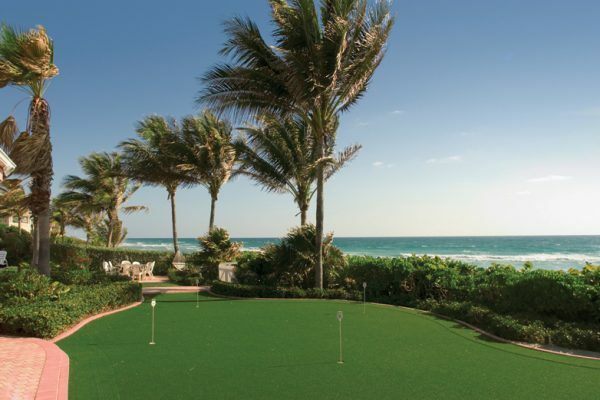 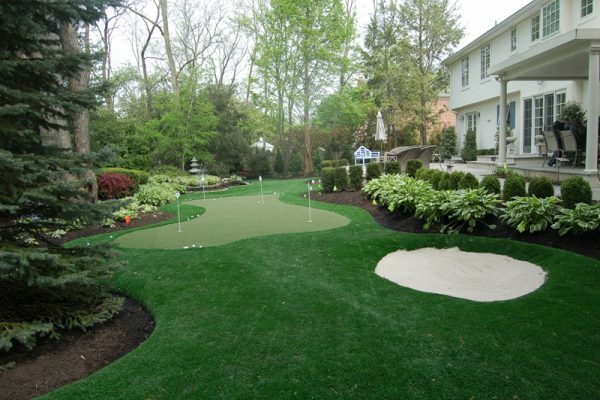 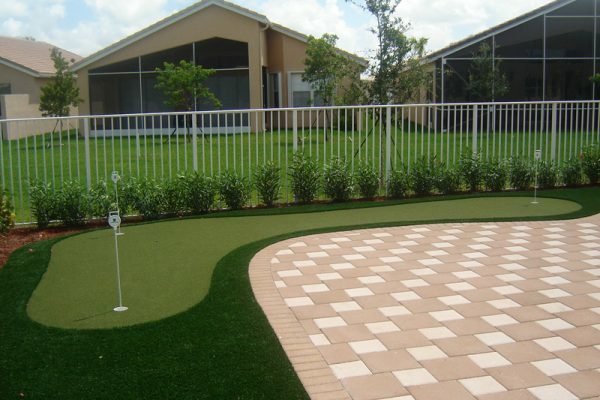 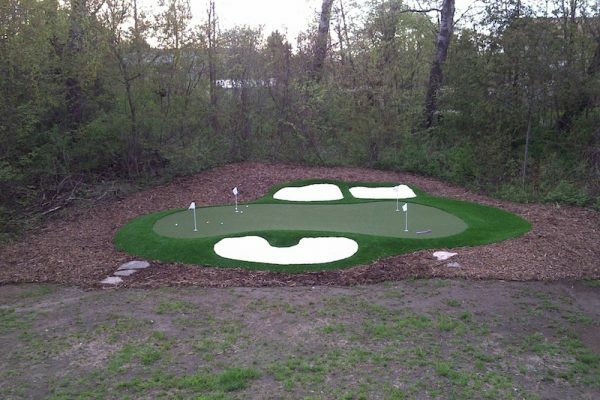 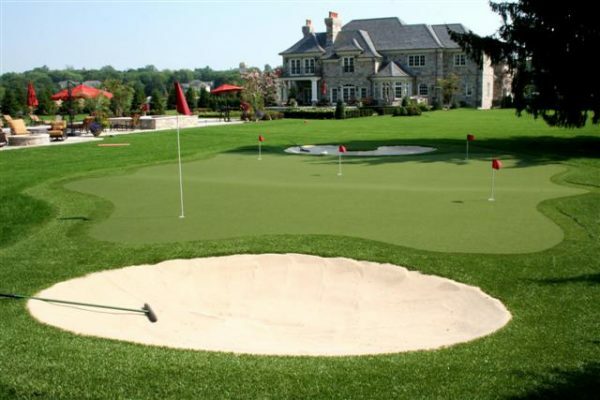 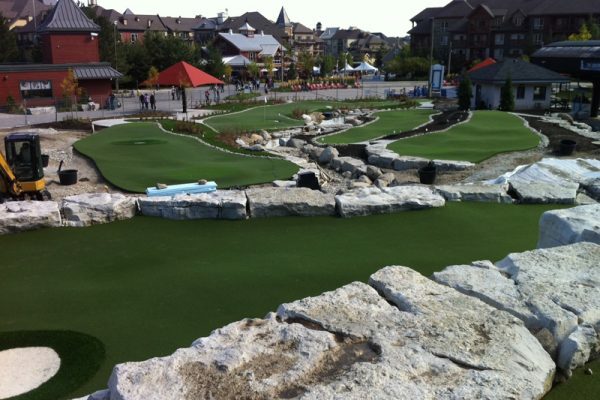 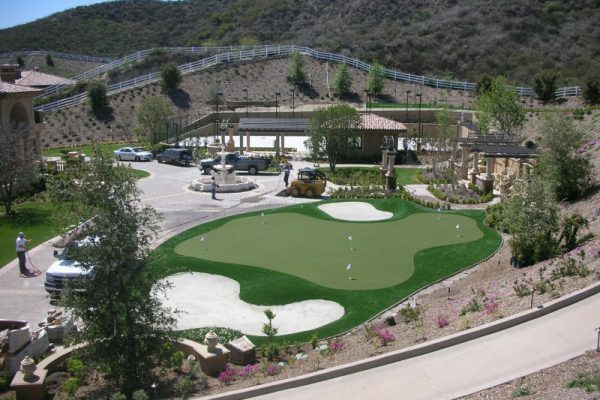 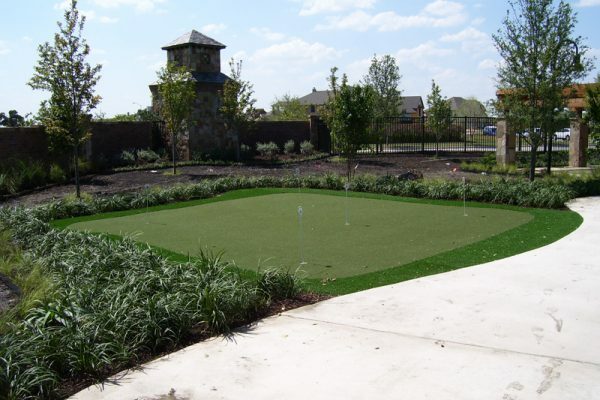 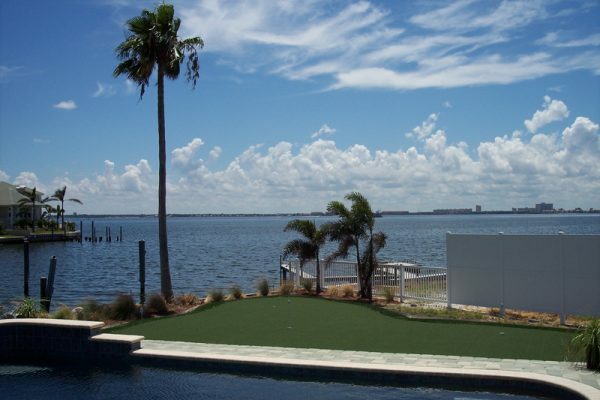 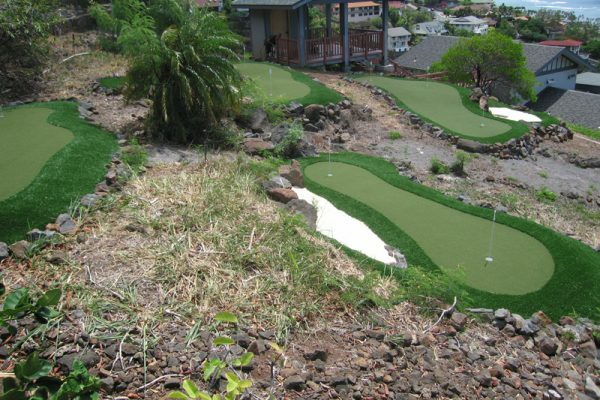 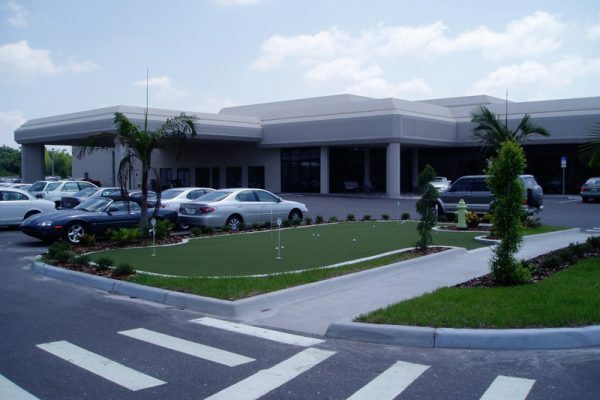 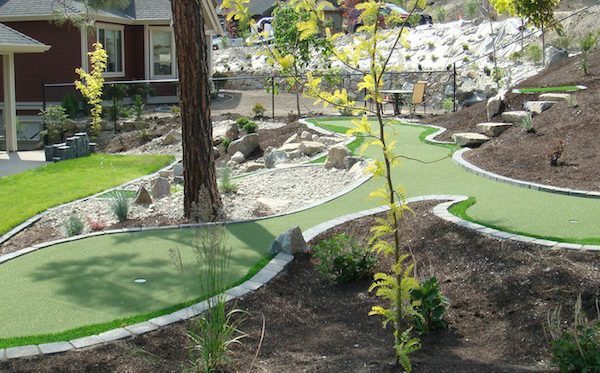 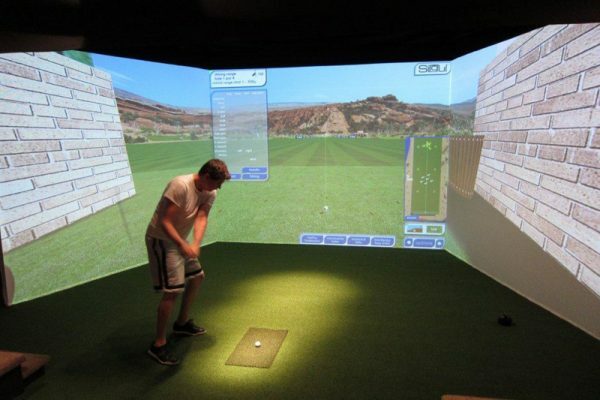 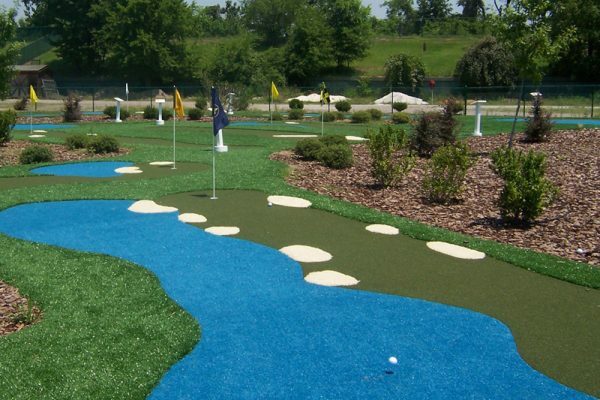 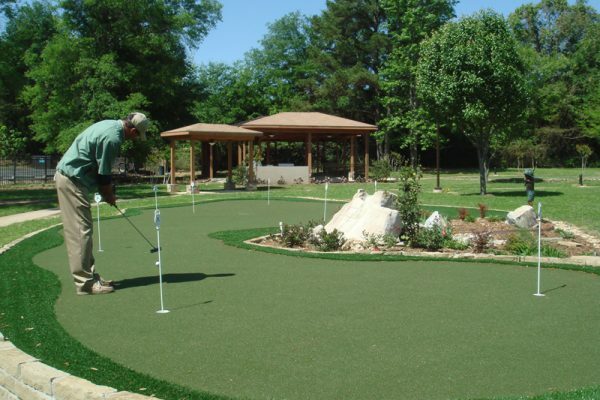 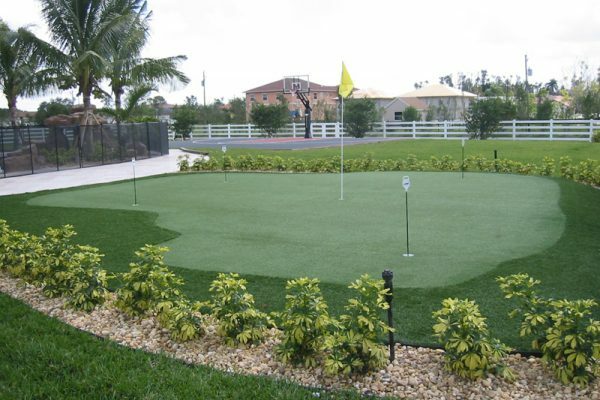 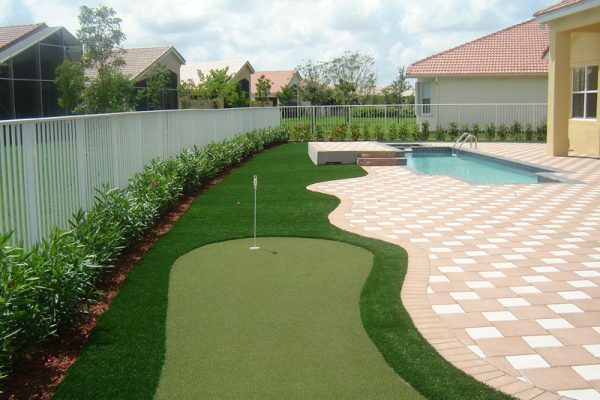 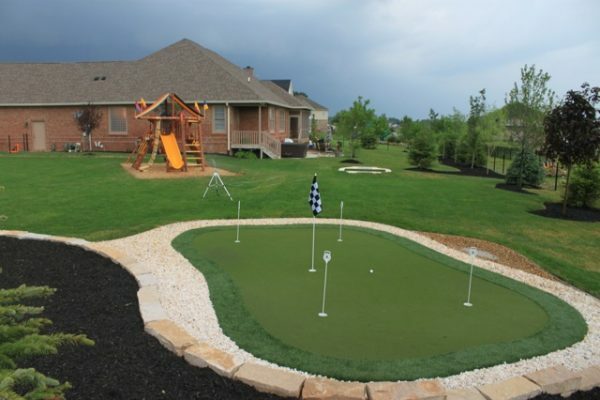 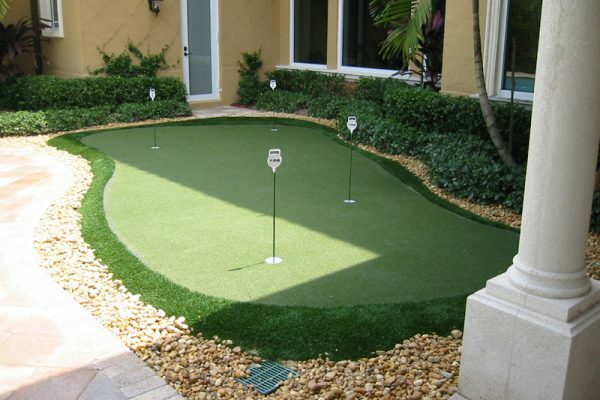 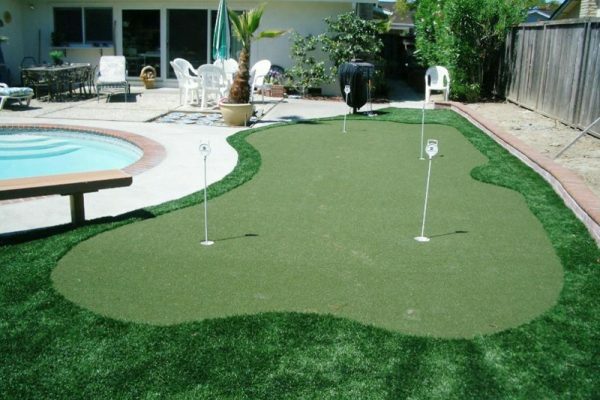 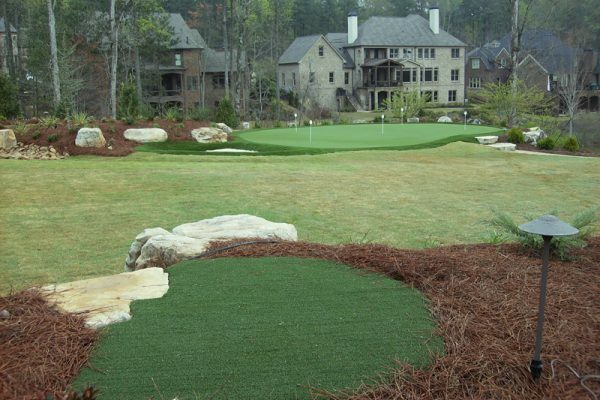 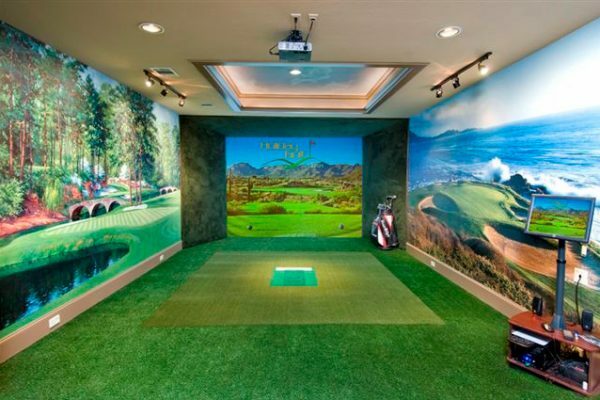 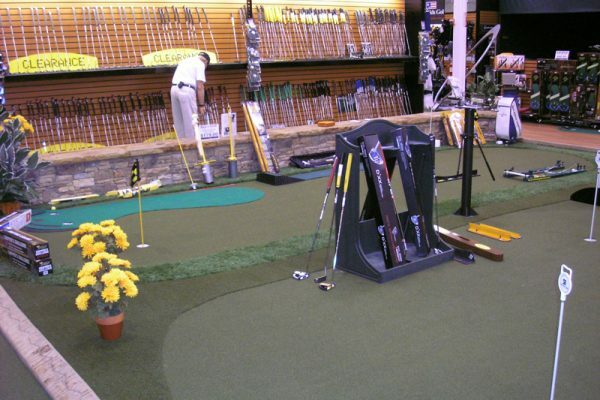 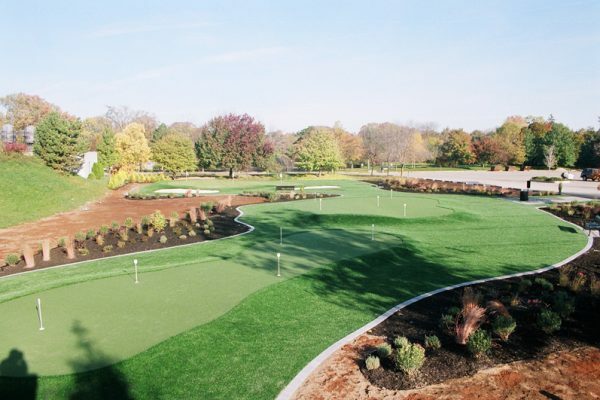 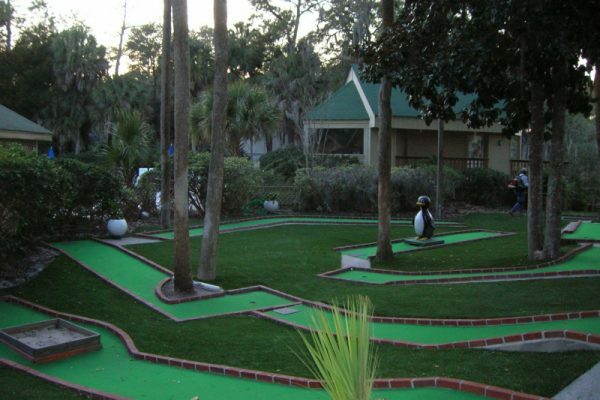 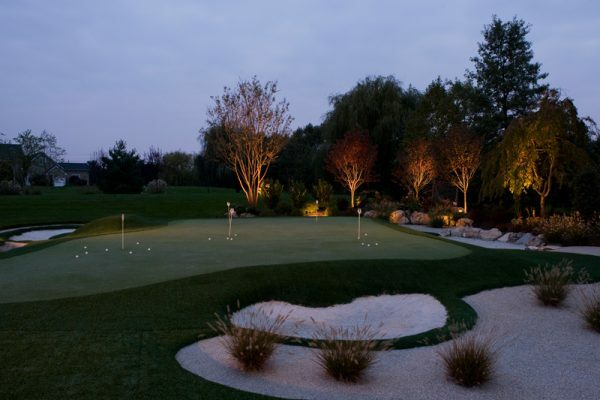 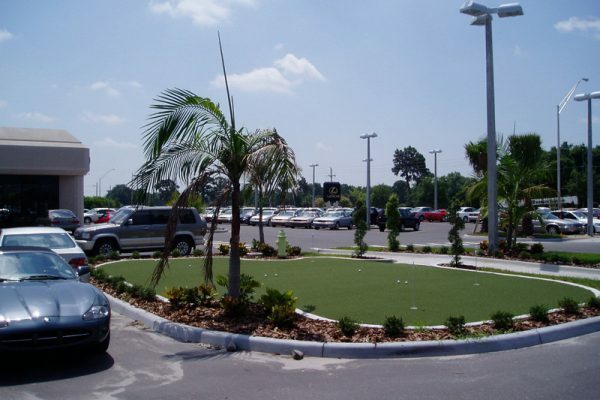 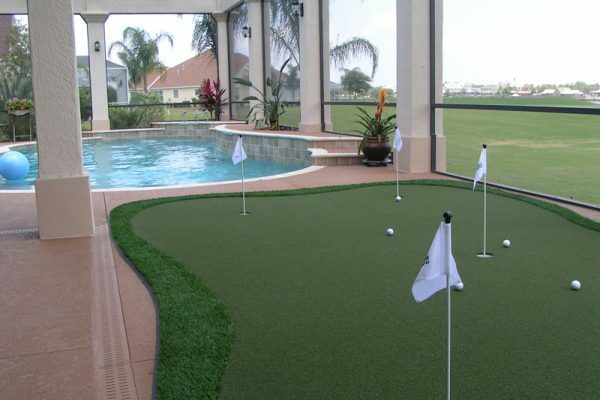 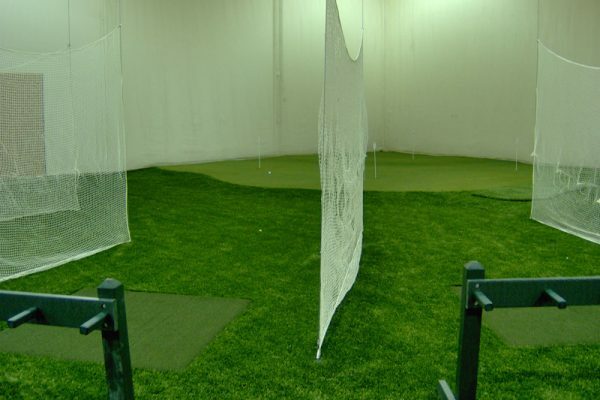 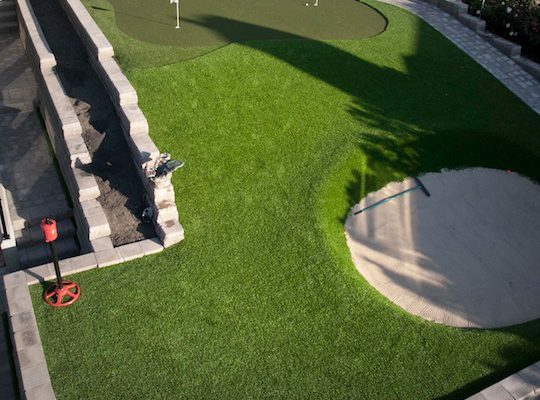 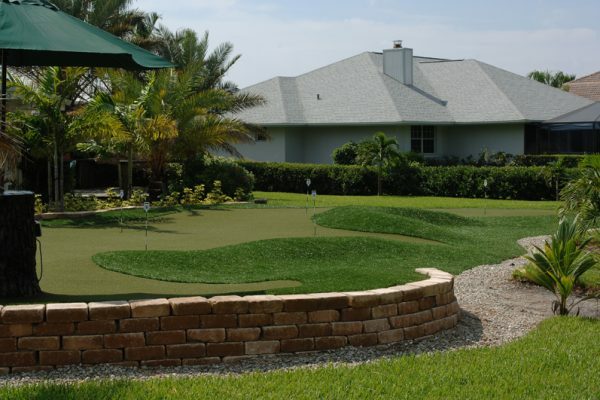 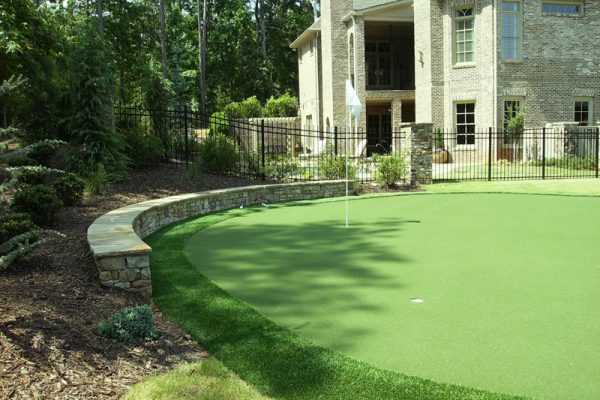 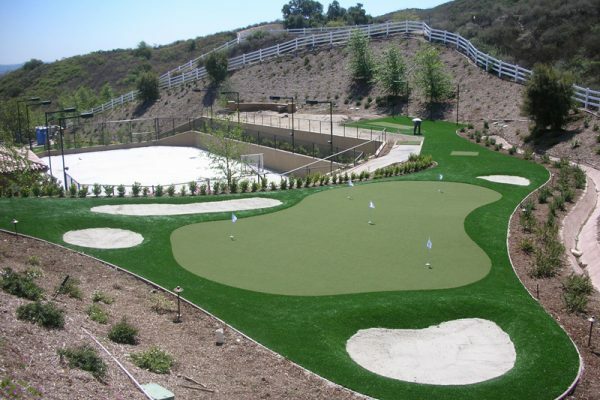 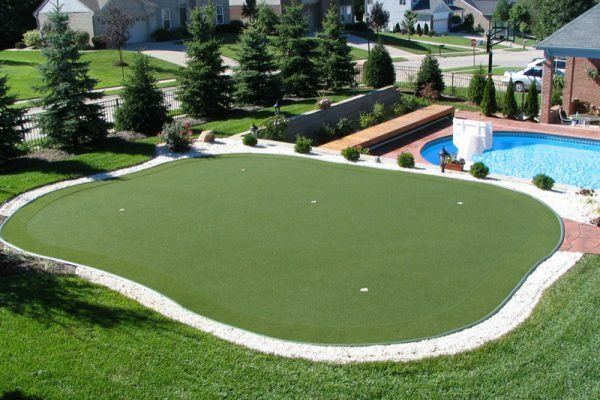 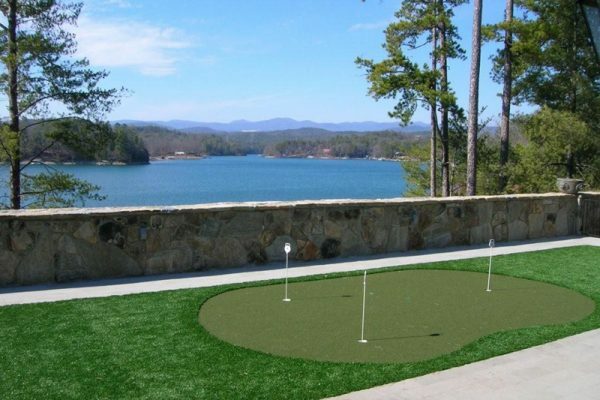 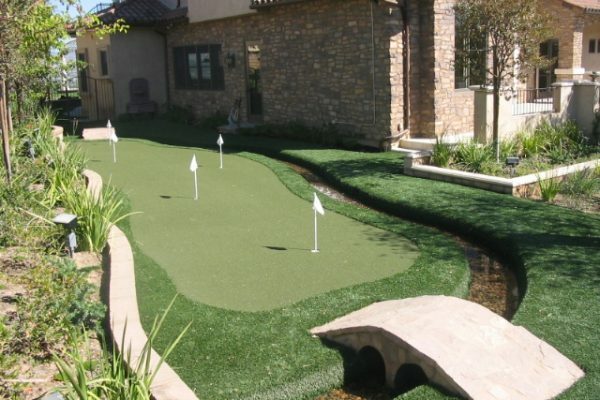 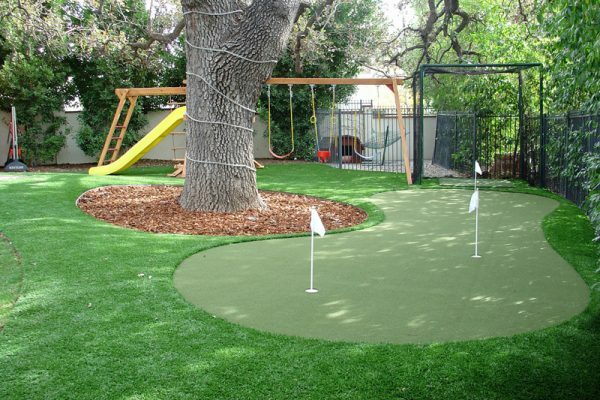 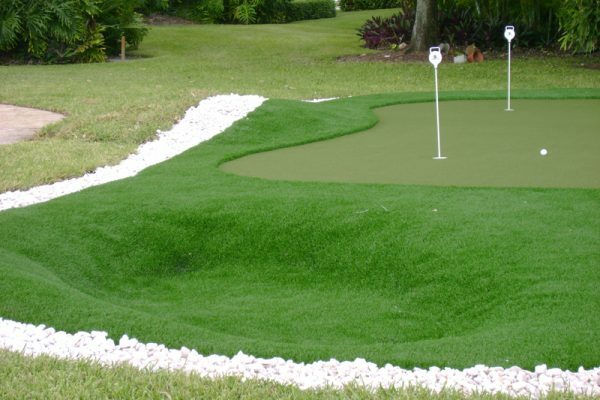 Xtreme Green Synthetic Turf offers the right synthetic surface for every game and golfer. 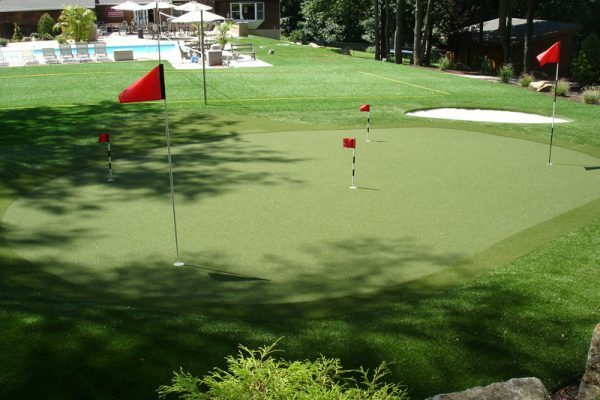 Manufactured to perform perfectly every time, our golf and putting green turf is used by professionals, amateurs, and golf instructors worldwide. 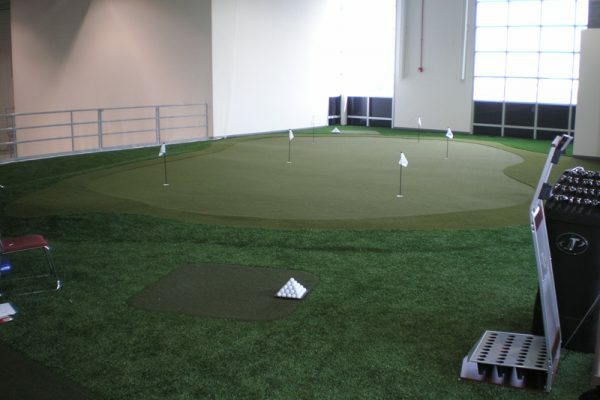 We recognize that the most important aspect of the game is putting. 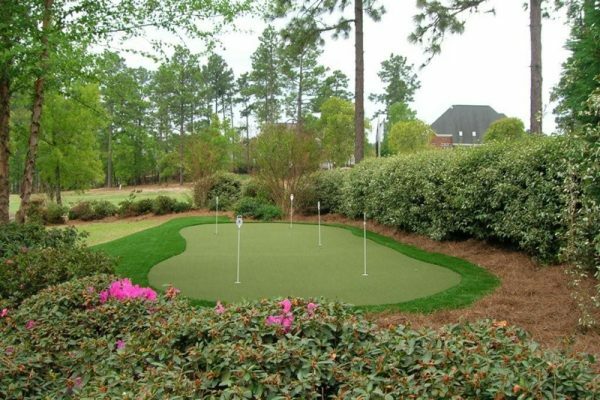 That’s why our putting green turf is designed to produce results-oriented practice and reinforce the underlying mechanics of good putting. 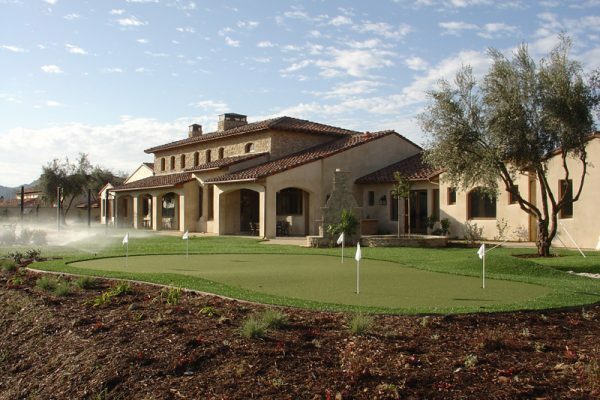 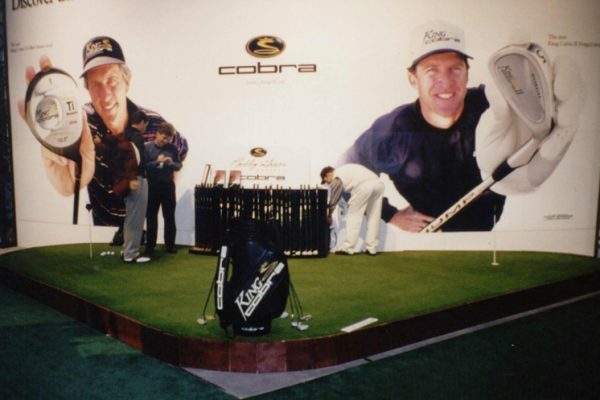 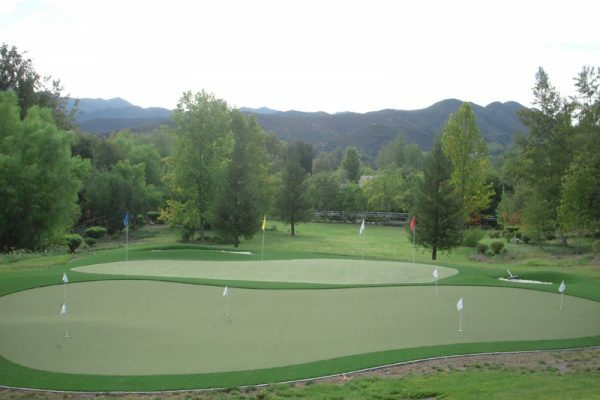 Extremely durable, our putting green turf has a high performance signature “true roll” characteristic that makes it a favorite among low handicappers, and touring and teaching professionals like David Leadbetter, the top ranked teaching professional in the world. 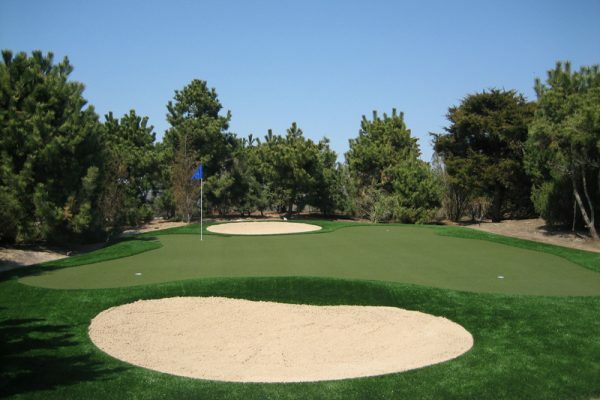 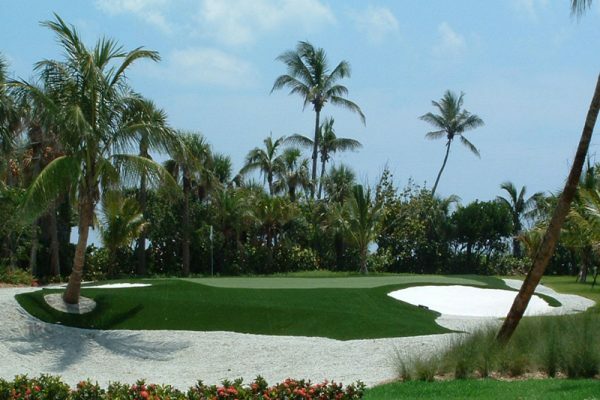 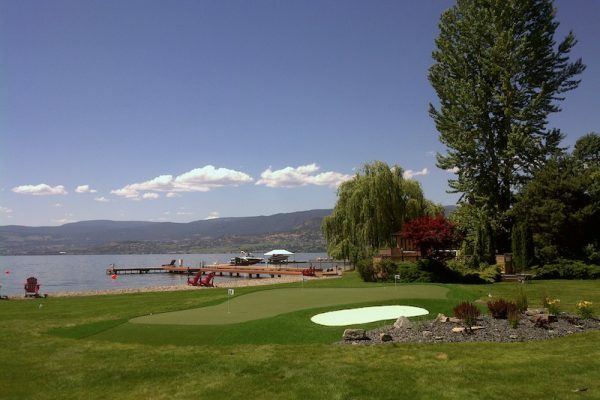 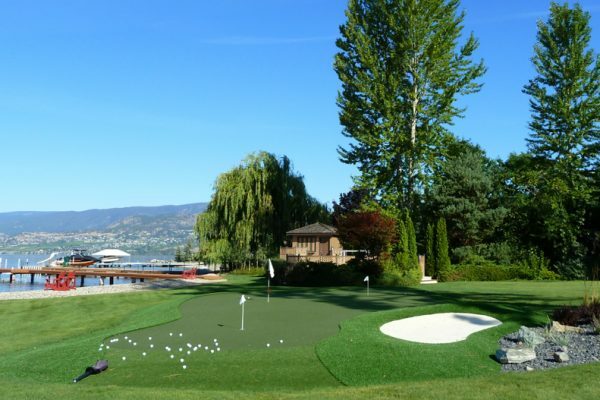 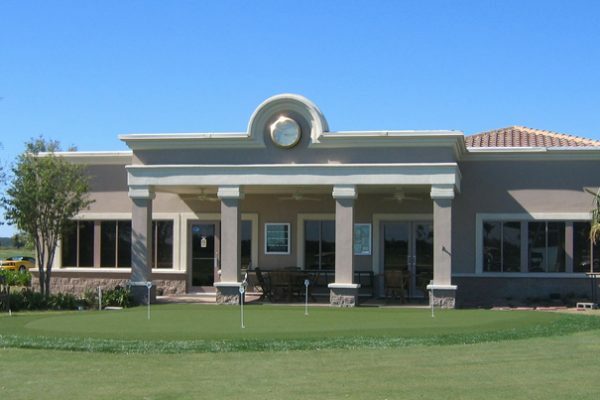 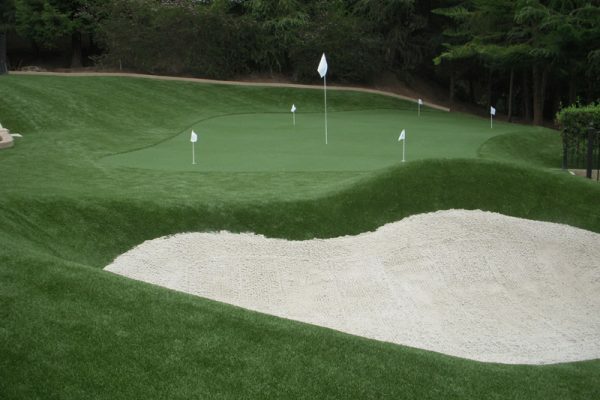 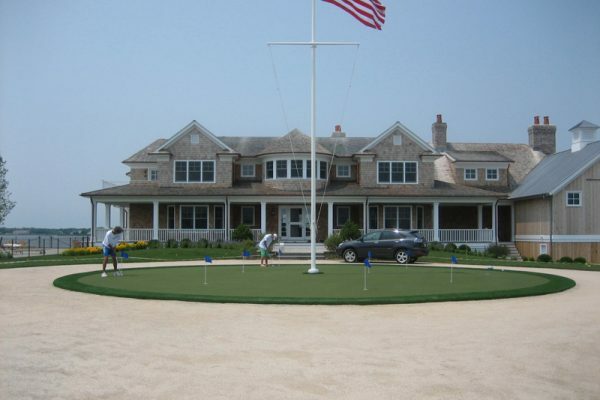 We offer texturized nylon and polypropylene sand-filled putting greens, as well as a comprehensive line of synthetic target greens, range turfs and tee line surfaces. 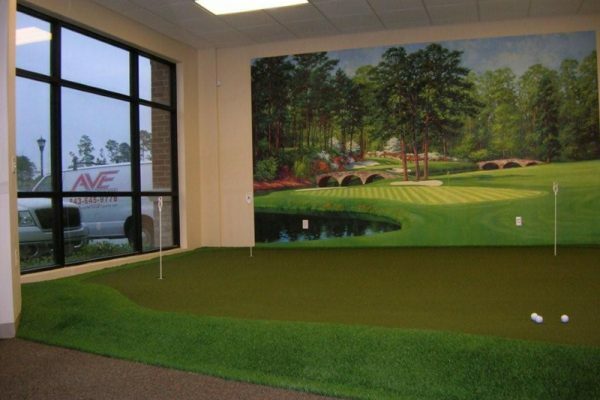 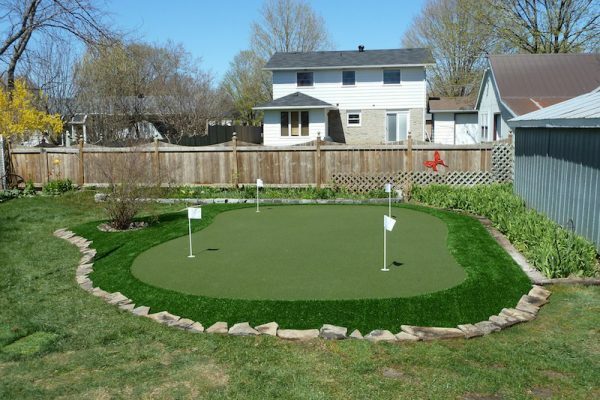 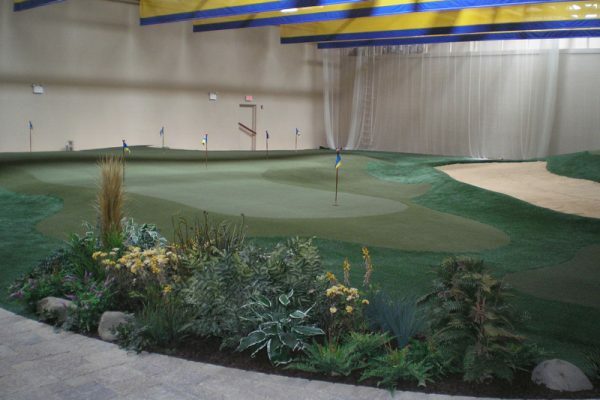 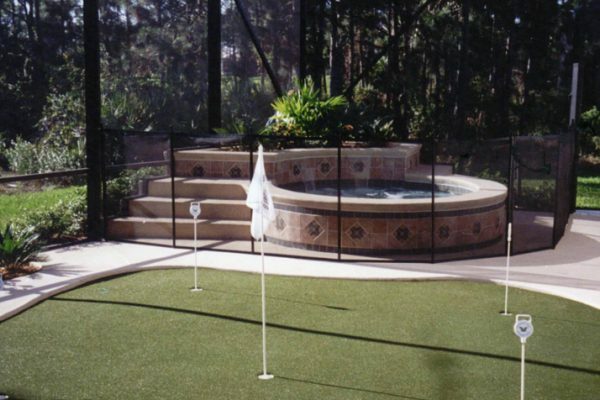 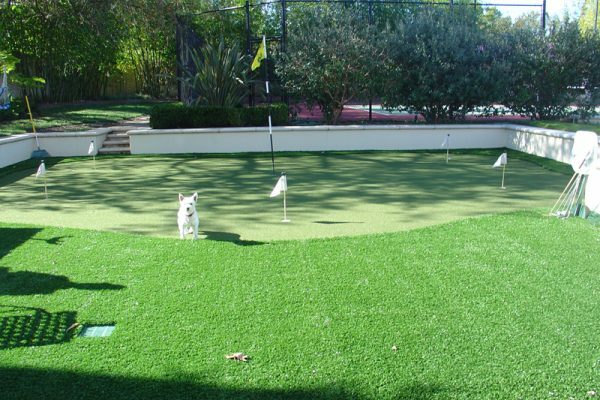 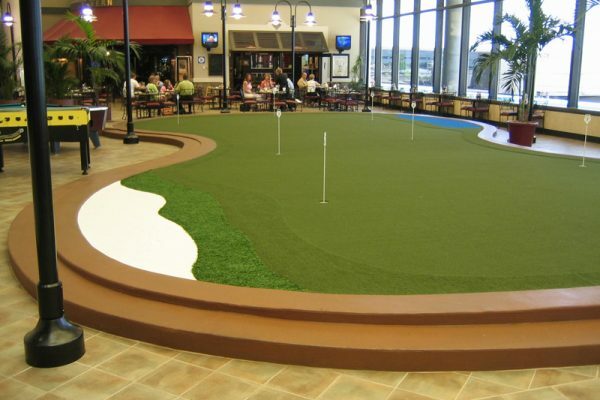 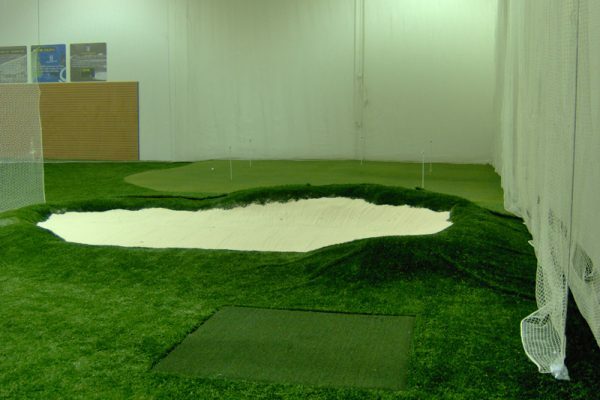 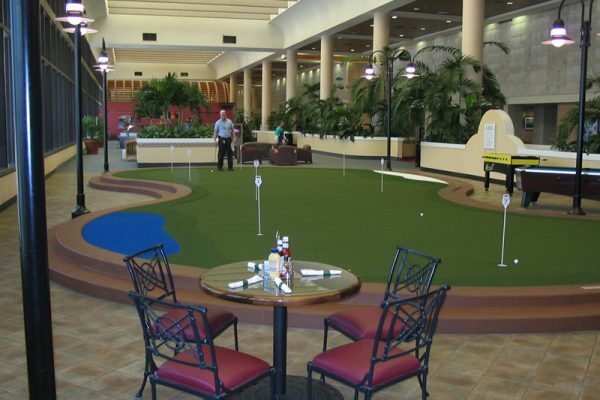 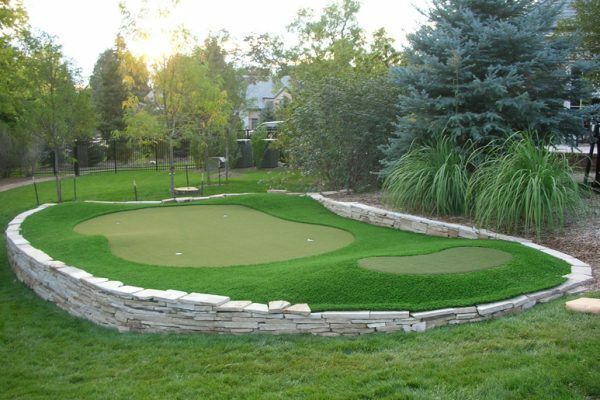 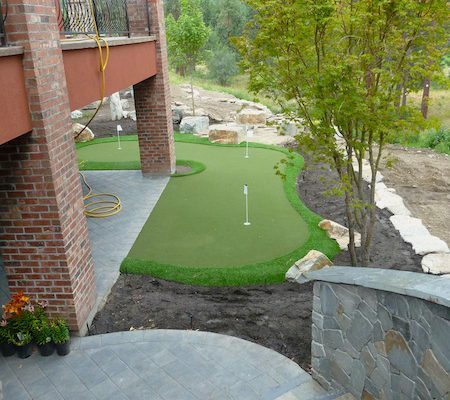 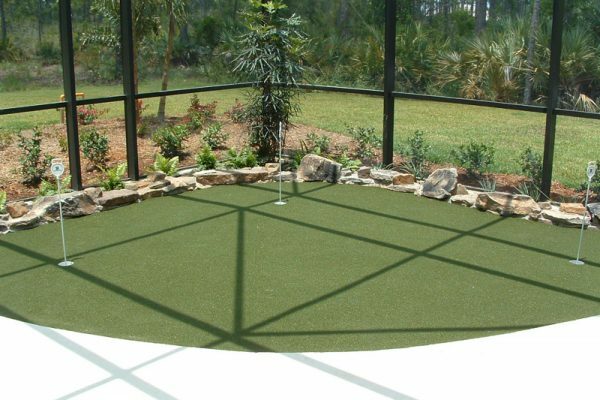 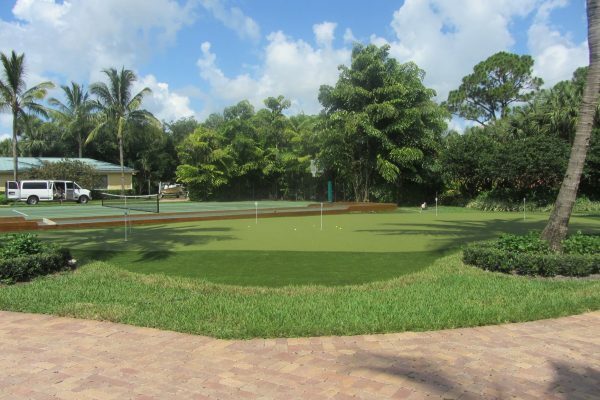 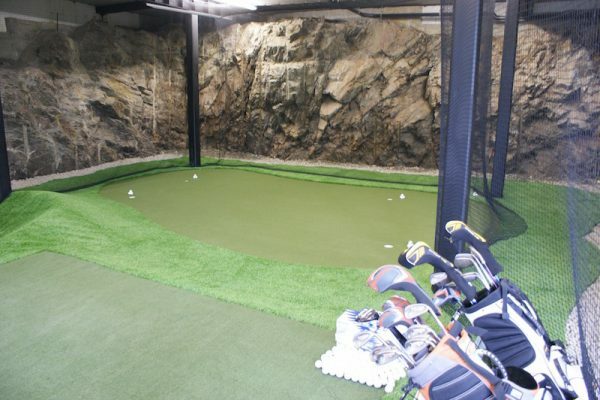 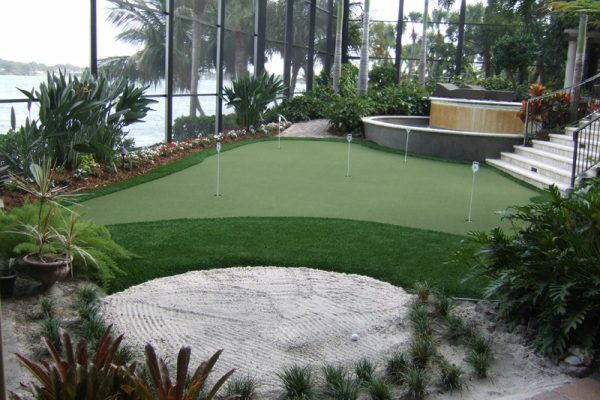 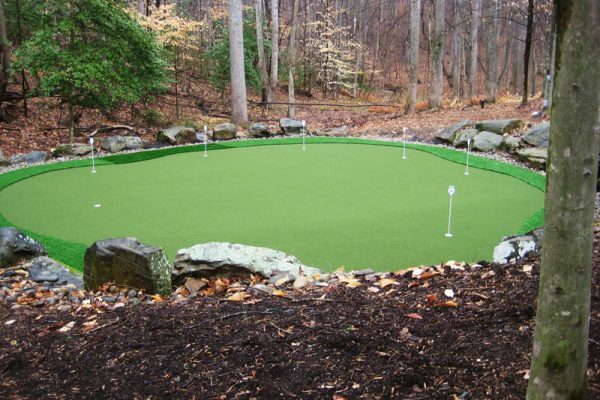 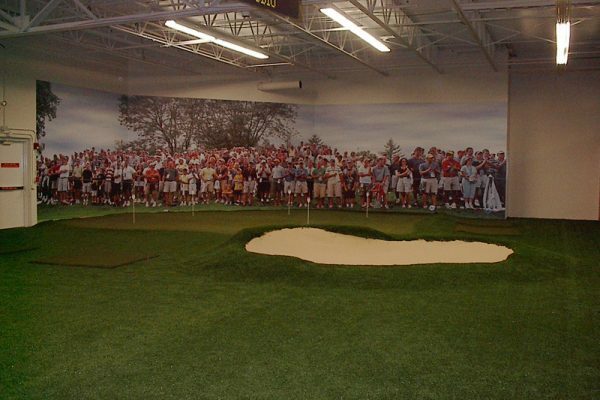 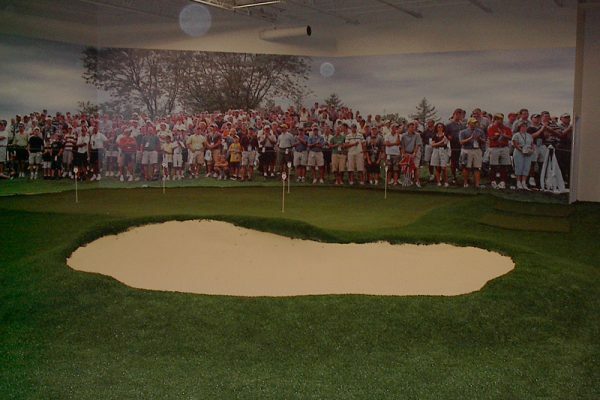 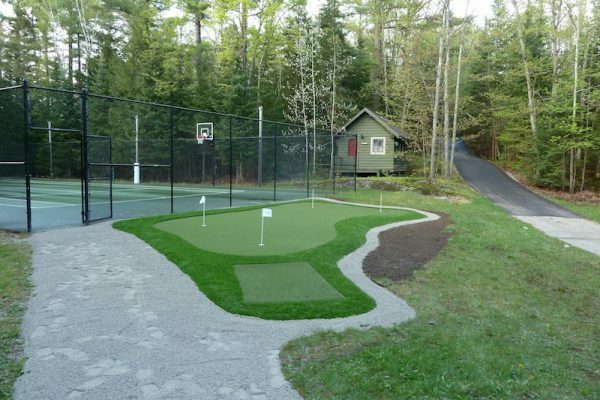 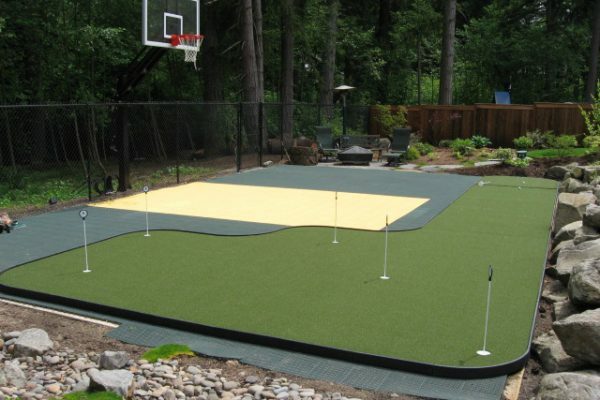 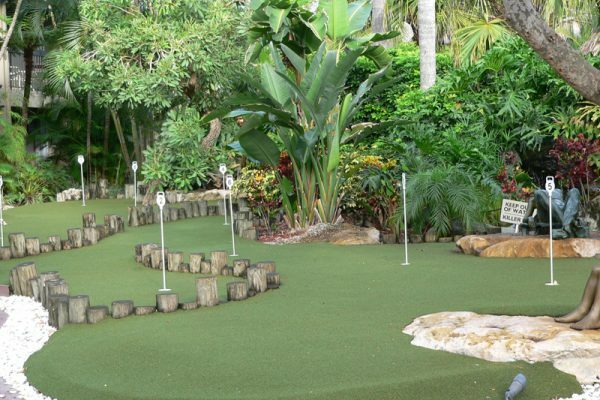 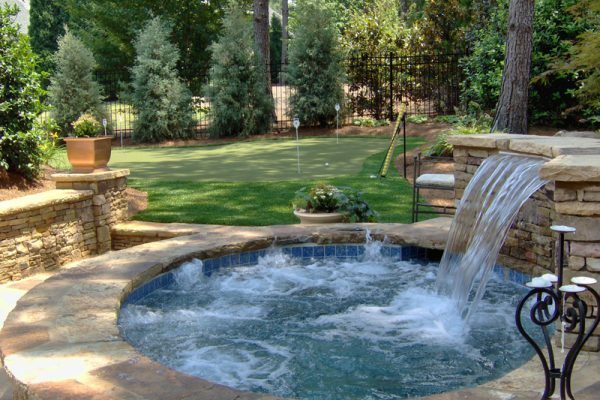 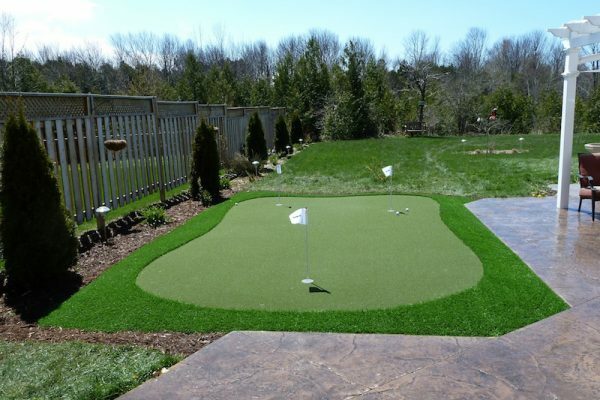 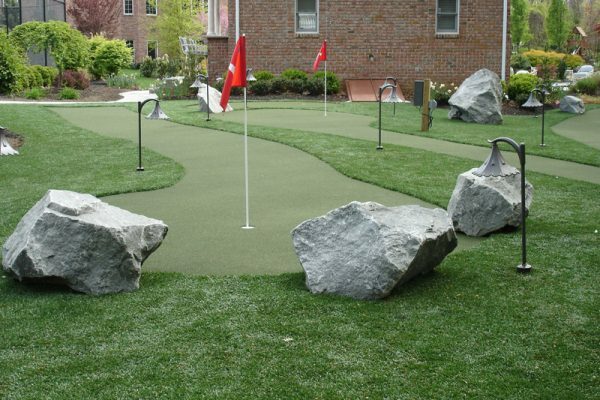 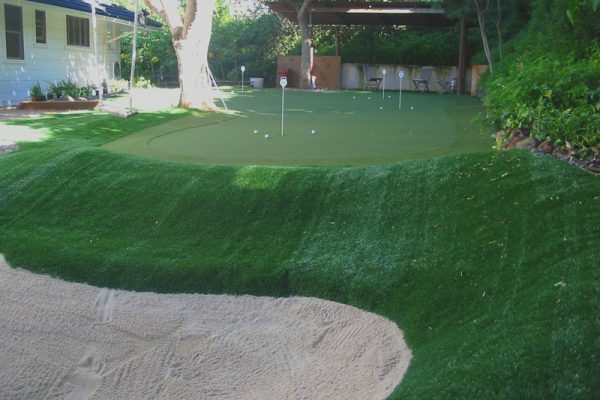 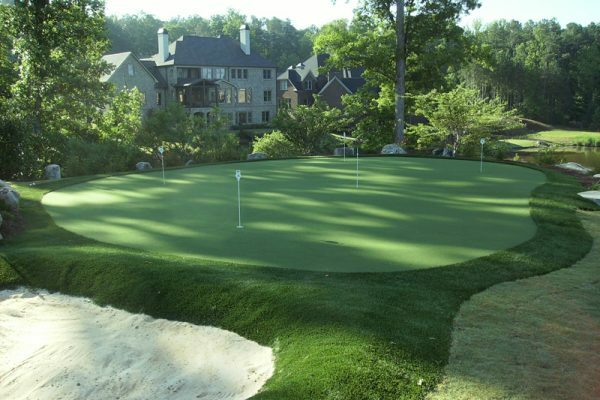 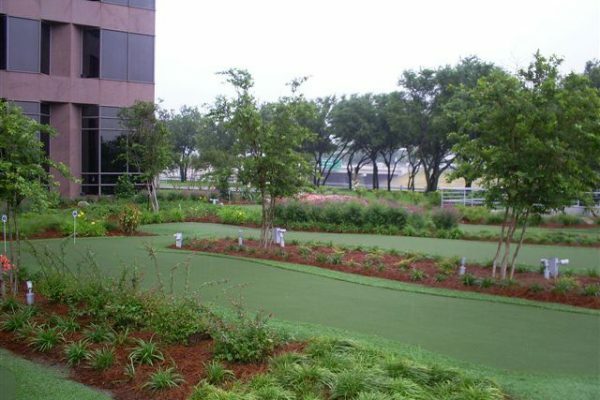 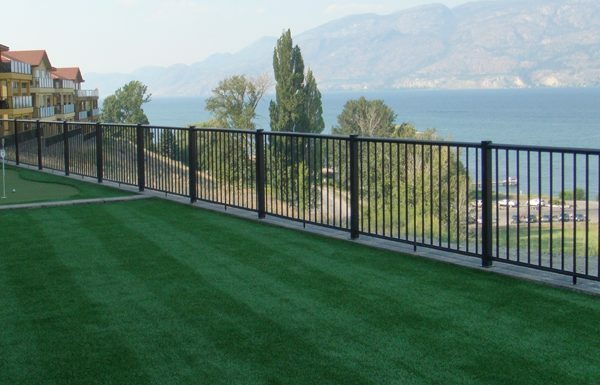 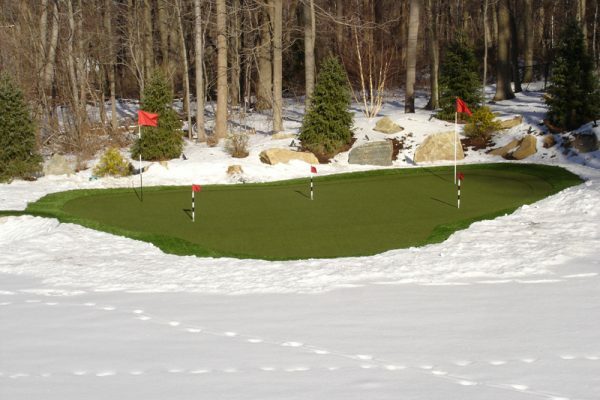 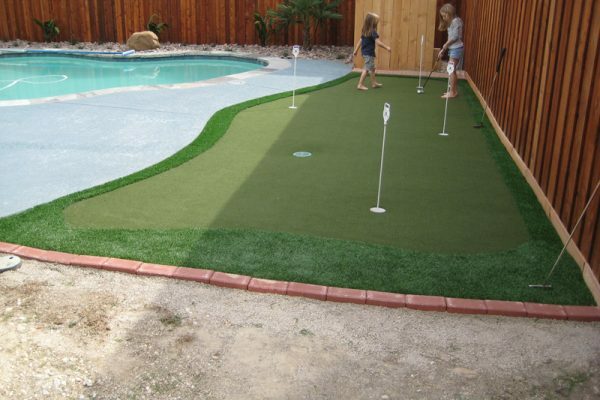 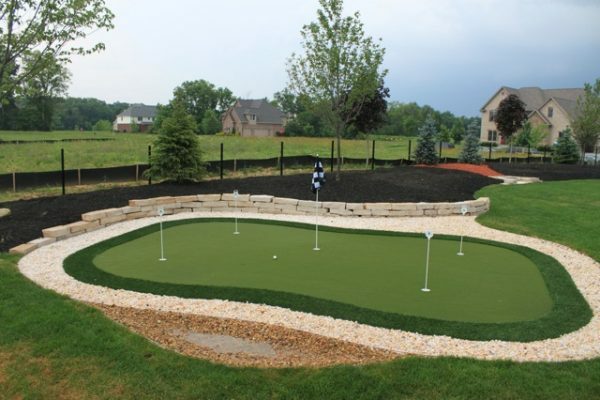 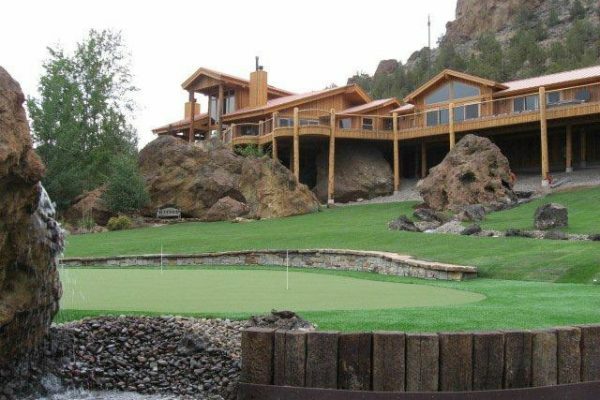 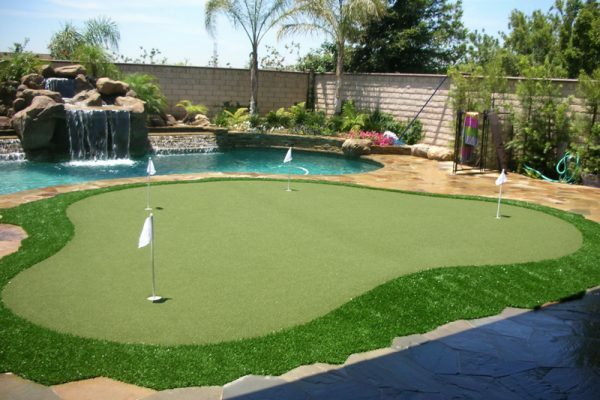 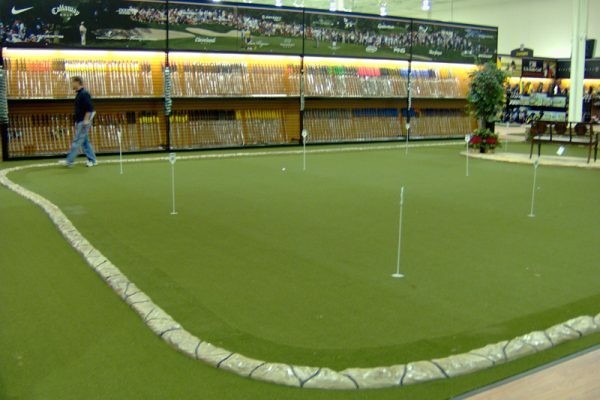 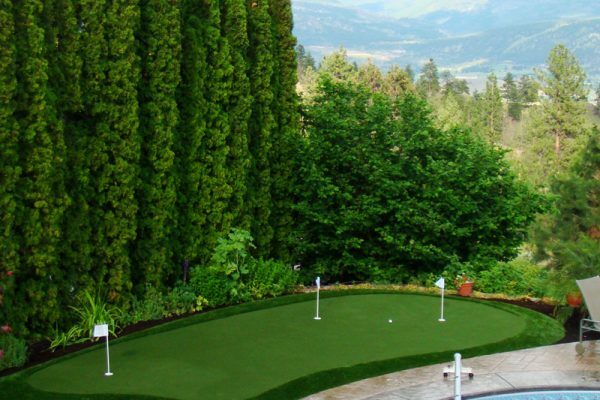 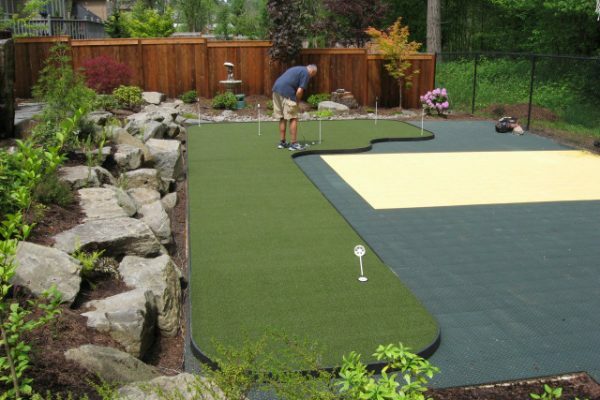 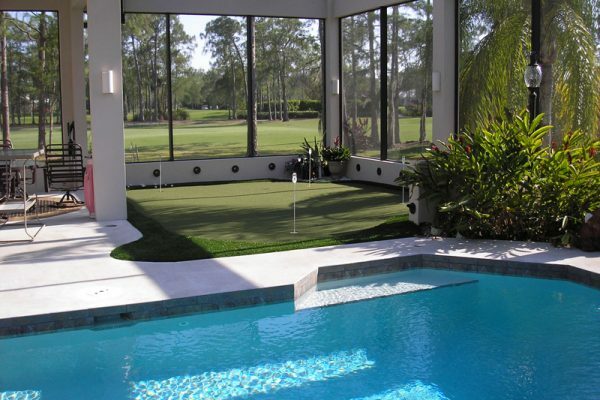 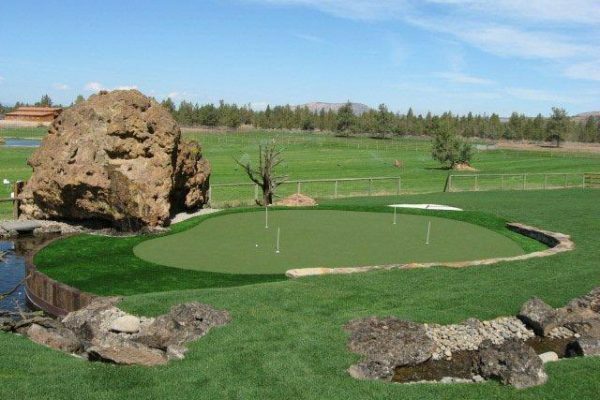 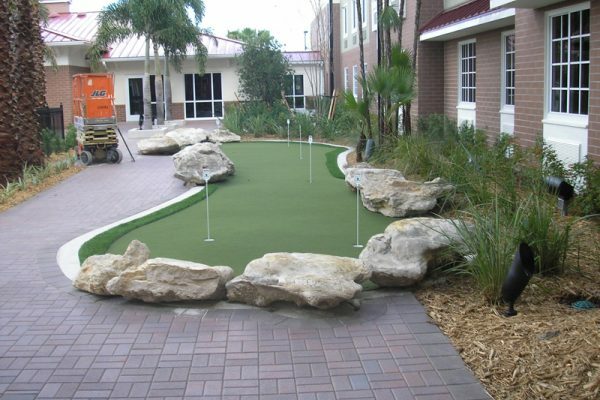 In addition to traditional outdoor putting greens, Xtreme Green Synthetic Turf produces indoor and modular-portable greens. 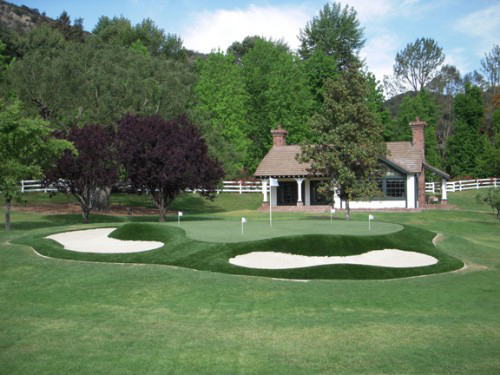 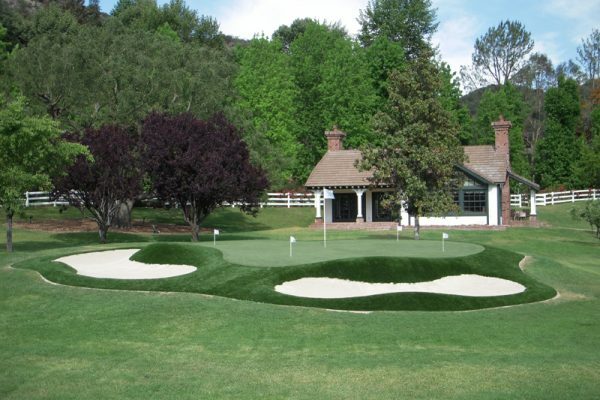 Our team can also enhance aesthetics and impact by installing sand bunkers, chipping stations, and fringe grass chosen from our array of indigenous and native grass turfs. 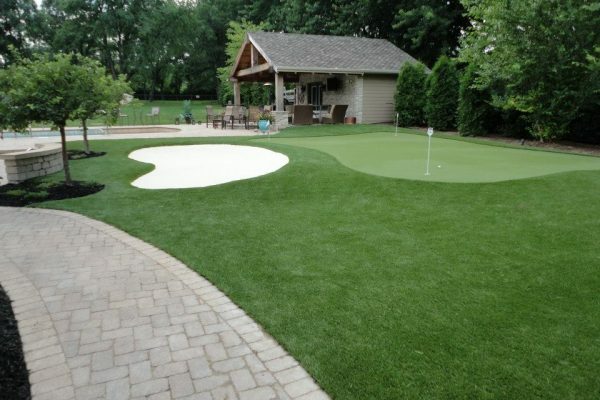 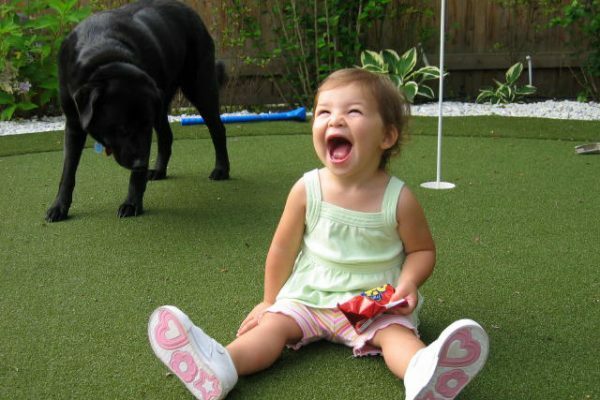 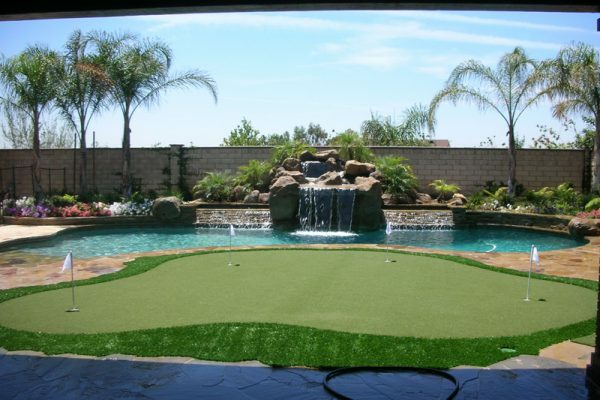 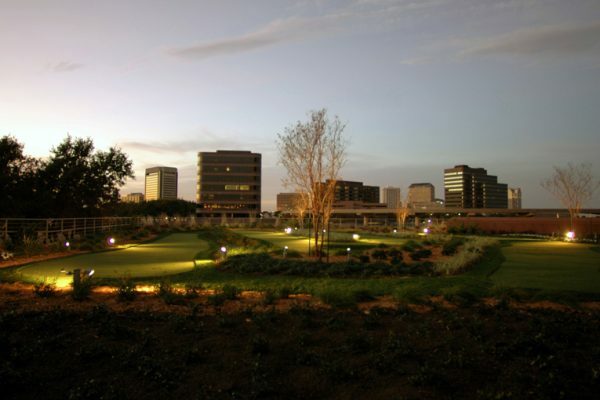 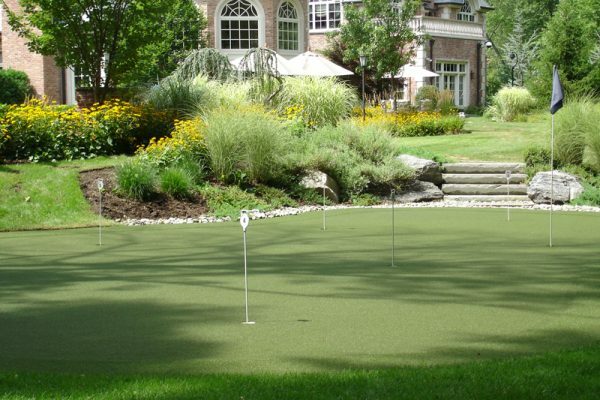 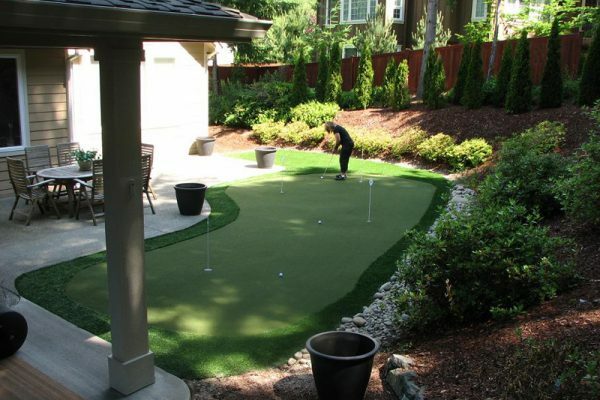 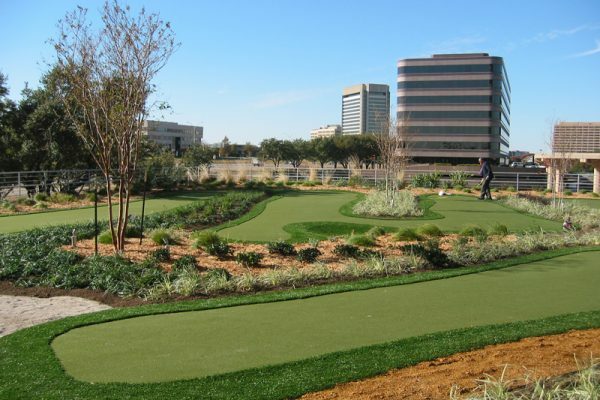 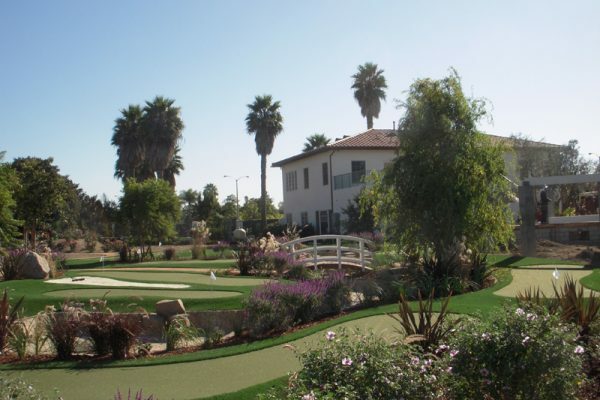 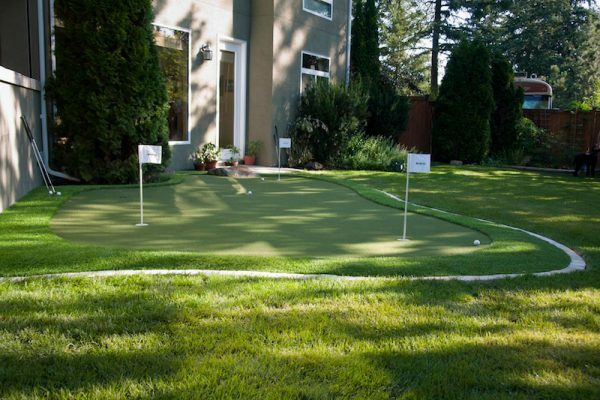 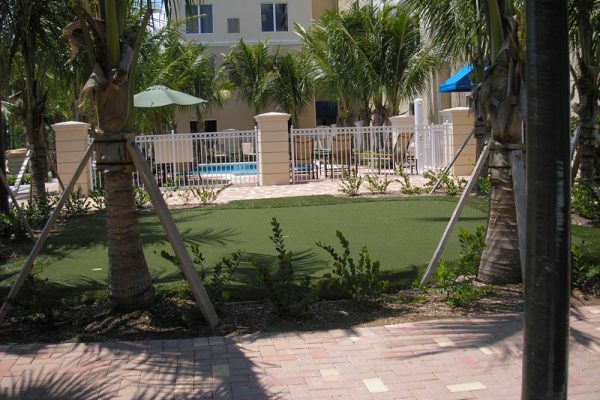 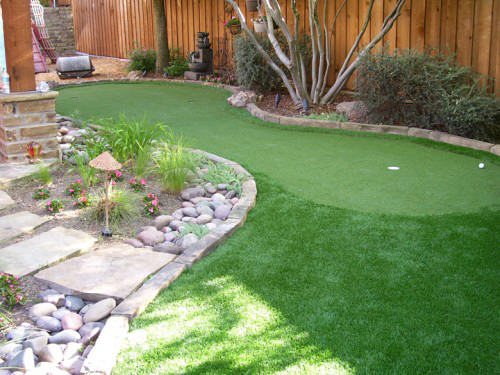 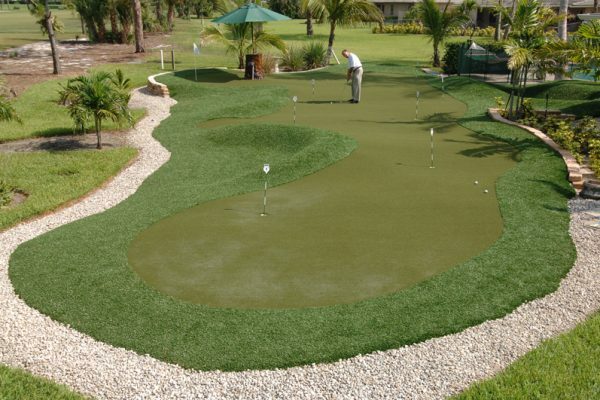 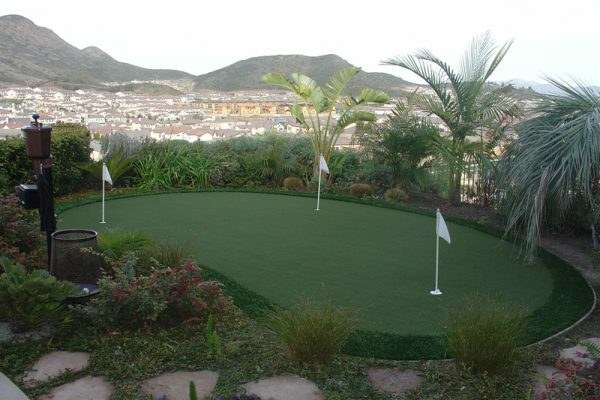 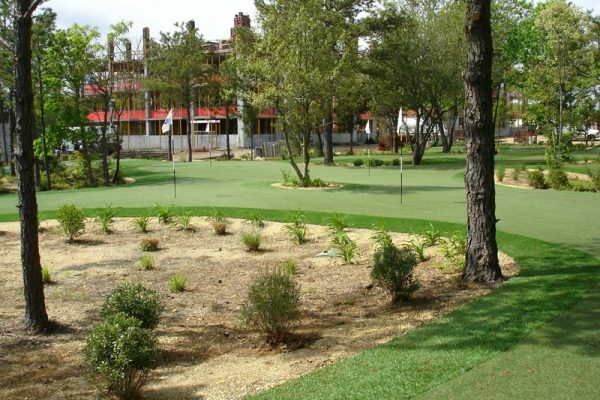 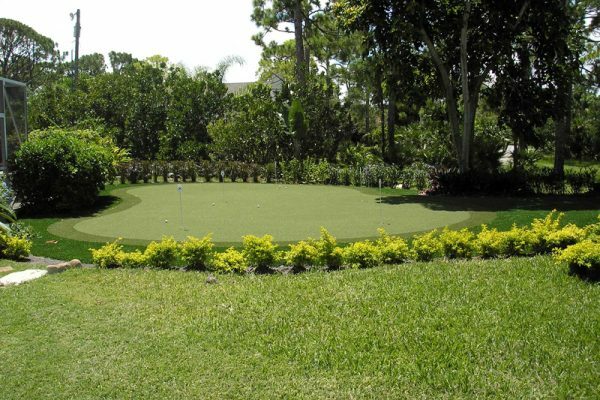 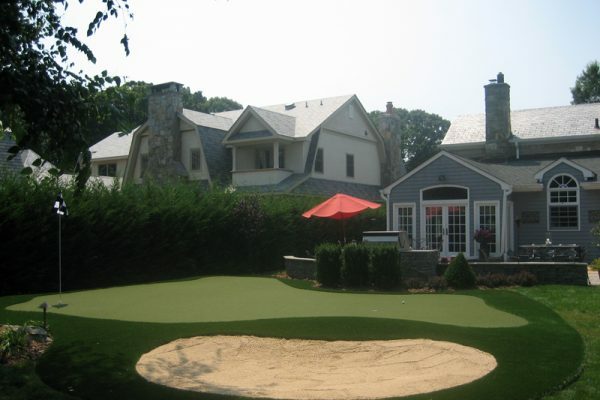 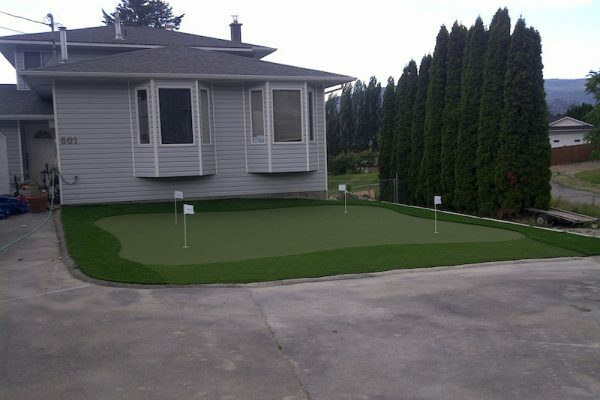 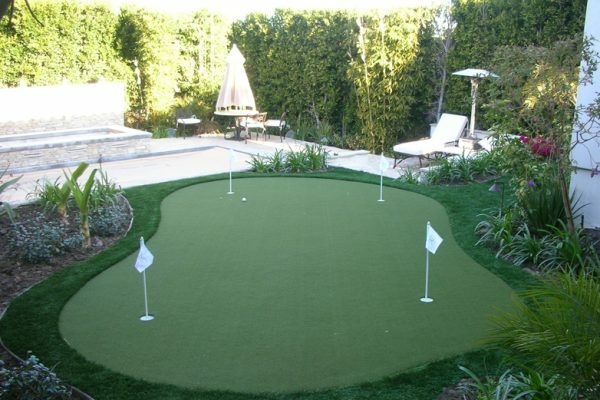 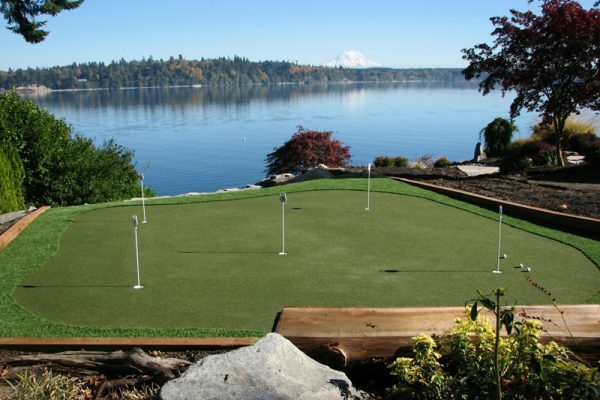 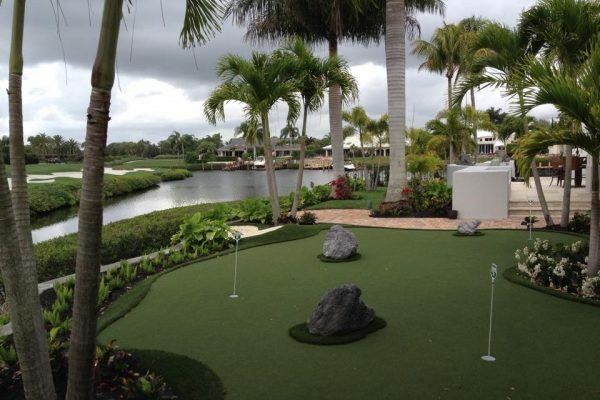 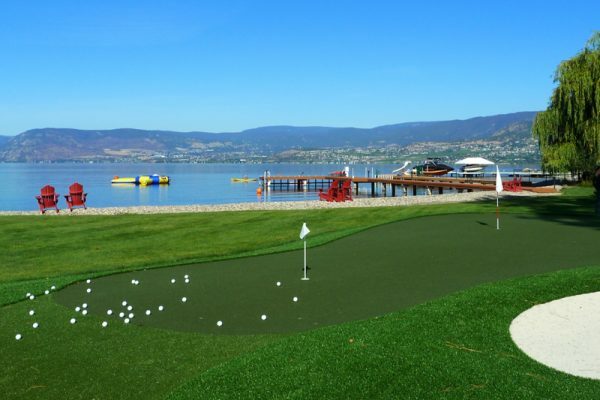 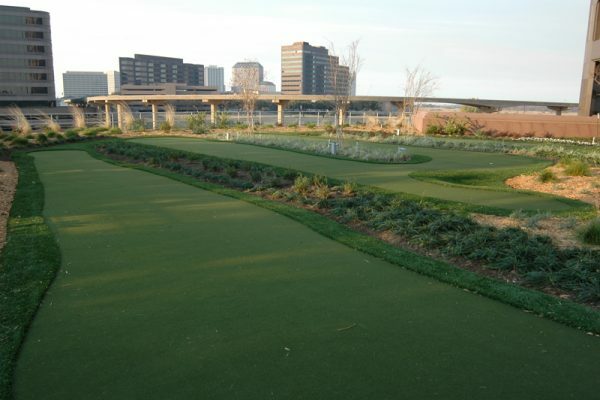 “Xtreme Green Synthetic Turf delivers a putting surface that resembles a high quality grass green. 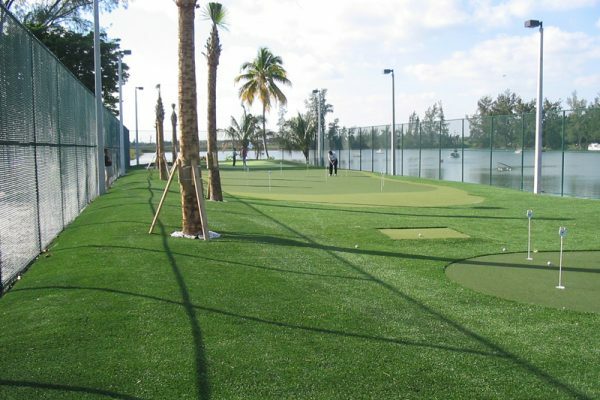 The difference is that their surface remains the same the entire year, irrespective of weather.” David Leadbetter, World-renowned golf teaching professional.